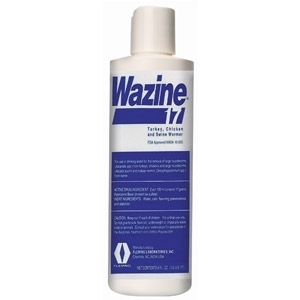 Take control of large roundworms in a snap with Wazine 17. 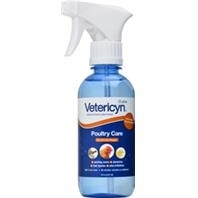 This liquid wormer contains 17% piperazine and is intended for the use in drinking water. Guaranteed to get rid of large roundworms in chickens and turkeys, large rondworms and nodular worms in swine, large roundworms in dogs and cats, and large roundworms, strongles, small strongyles and pinworms in horses. 8 oz bottle.